Carter, great open faced helmet. They make closed face helmets for a reason. "Undeniably the most significant Japanese OE launch in the US since the very same company dropped the 240Z, the 2009 Nissan GT-R will once again redefine how Americans, scratch that, the world will look at imports. Me? 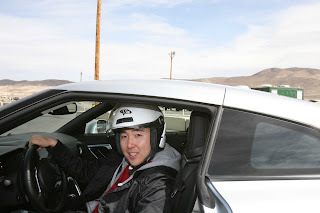 Screw global perceptions, I can’t believe I drove the new GT-R. I kid, I kid. Carter is an R33 GT-R owner. Before his current R33, he had an R32 GT-R. 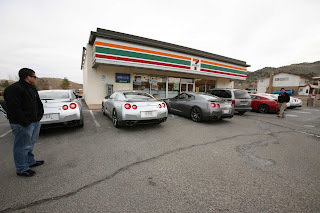 Both his GT-R's came from Motorex, long ago, in a galaxy far far away. Just sell that 1:1 scale model you have of a JGTC Supra. Thats a great car, i can't wait to earn enough and be able to purchase one.